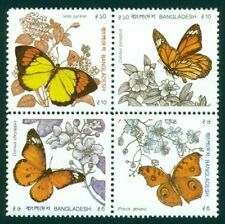 113.BANGLADESH 2008 IMPERF STAMP M/S STAMPS DAY, STAMP ON STAMPS, FAMOUS PEOPLE. 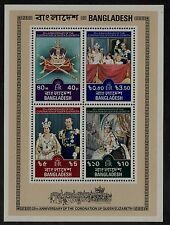 BANGLADESH 1978 QEII Coronation FDC, Scott #148a. A few with light toning. Doing that is against U.S. and international laws. That's all there is to it. Or simply search for sales by ddaannv. Very complete with full sets and an unusual find. Very clean collection of all Very Fine, Mint Never Hinged singles, sets & Souvenir Sheets. Doing that is against U.S. and international laws. What you see is what you will get. This stamp was overprinted by letter press. The new issue dealer would take an envelope containing one variety of overprint from each overprint group to make up the various quantity lots of all different he sold. The most common color was purple (violet), then black, with less in red or blue and a few in green. Stamps as per image. What you see is what you will get. Bangladesh Sc#68A NH 10 Souvenir Sheets Boy Scouts. Bangladesh 2018 Visit Bangladesh - Tourism theme 4 v mnh stamp and registered Gep (Guaranteed express post) cover with delivery cds. Hari Nagar, Khuna (March 4, 1973) to Dacca. Outside the United States, postage will be actual rate minus charge if it was as domestic mailing. Registration to destinations where mail service is not reliable (Italy, Russia, Ukraine, etc.) will require an additional $16.00, unless I receive an eBay message/email from you stating that I will not be held responsible by eBay/PayPal or yourself for any loss through the mail. 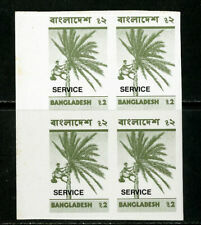 BANGLADESH PAKISTAN 1971-1972. WITH BANGLADESH PROVISIONAL. SPECIALIZED COLLECTION. 2020 Scott Catalogue Pages. All Bangladesh Pages. Mint and the Used Values listed for each stamp. Pages Carefully removed from. Pages 161-188. Southeast Asia Pages. these pages provide a valuable reference tool, without the expense of buying the entire book. Bangladesh, Scott cat. 721 A-B. 100 Years of Scouting. First Day Cover. Bangladesh, Scott cat. 100 Years of Scouting issue. Topic - " 2p t o 10t - TREES, AGRICULTURE, FISH, BUILDINGS, SCENES". Fine-Very Fine Condition & Centering. Mint Never Hinged. Issued 1973. This is the real set you will receive. BHAWAMPUR 17.1.72 CDS receiver on reverse. Slit open at right. Covers are very scarce used during the Provincial Wars period. These interesting locals are not listed in any of the major catalogs, and there are many machine printed and handstamped varieties of these local overprints that were issued for cities and towns throughout. Bangladesh extremely rare first day registered two FDC, large and small for me and stamp on 100 Years of Hardinge Bridge. Bangladesh was part of British India in 1915. The letters were sent on issue date 27.4.17. Delivery CDs dated 8.5.17. Exact postage was used on the covers. Only 3 sets were sent abroad, making these 2 covers a rarity. Dispatched only by registered post. An unusual group. Covers are very scarce used during the Provincial Wars period. These interesting locals are not listed in any of the major catalogs, and there are many machine printed and handstamped varieties of these local overprints that were issued for cities and towns throughout. 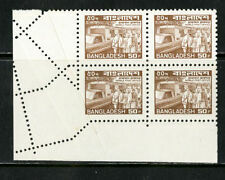 1973-77 Scott #42-55, 95-106. Both Complete sets. a pretty image. 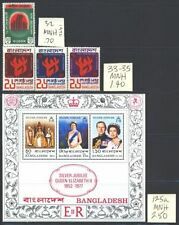 Bangladesh 2019 MUJIB NAGAR Dibosh Commercially Used GEP COVER sent on 17.4.2019 Shipped by registered post only. PAKISTAN 1967 30P PICTURE POSTCARD OVERPRINTED BANGLADESH SEE PAKISTAN.